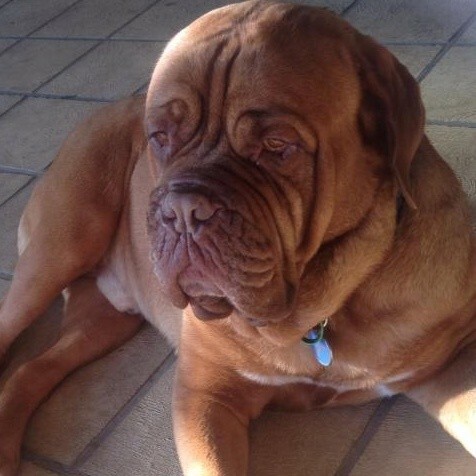 Contact Brooke at Dogue de Bordeaux Rescue to express your interest. 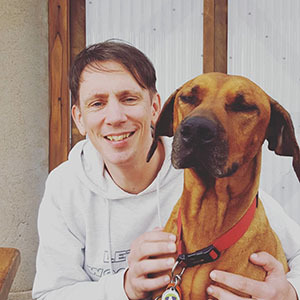 Another successful adoption - amazing work Dogue de Bordeaux Rescue! 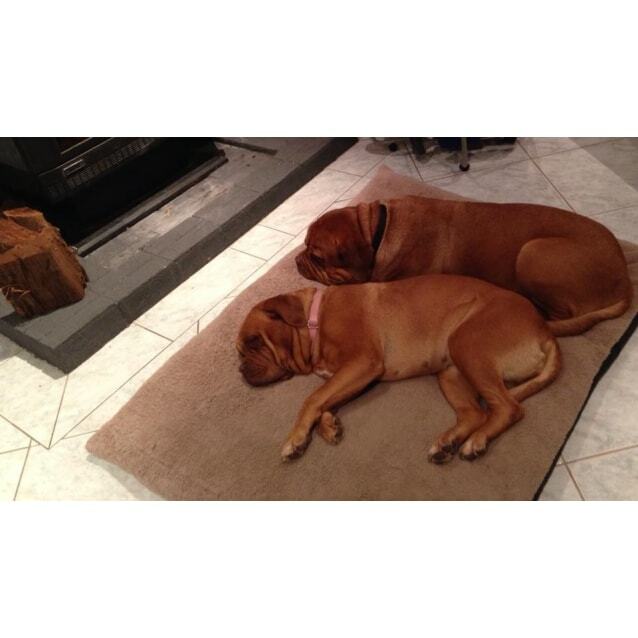 More successful adoptions - amazing work Dogue de Bordeaux Rescue! Gus is a very laid back boy, enjoying the winter comforts of lazing in front of the fireplace and in summer, splashing about in his paddle pool. He is not overly active, and a short 10minute walk around the block will keep him happy for days. He enjoys riding in the back of the ute. Gus loves people and is great with kids, and will take himself away to a quiet spot in the house if things get too noisy for him. He is a great house dog. Gus is looking for a nice quiet family where he can live out his retirement years in comfort, along with his sister Lily, who he has lived with his whole life. Gus is in good health, occasionally suffering from yeasty ear infections which are managed with ear drops. 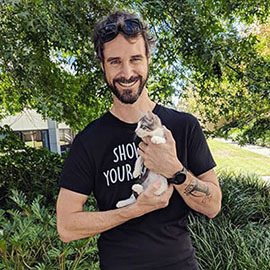 Gus has been vaccinated, desexed and micro-chipped. We have an application form on our website. We try to match individual dogs to their ideal circumstances. We home check prior to finalizing the adoption.